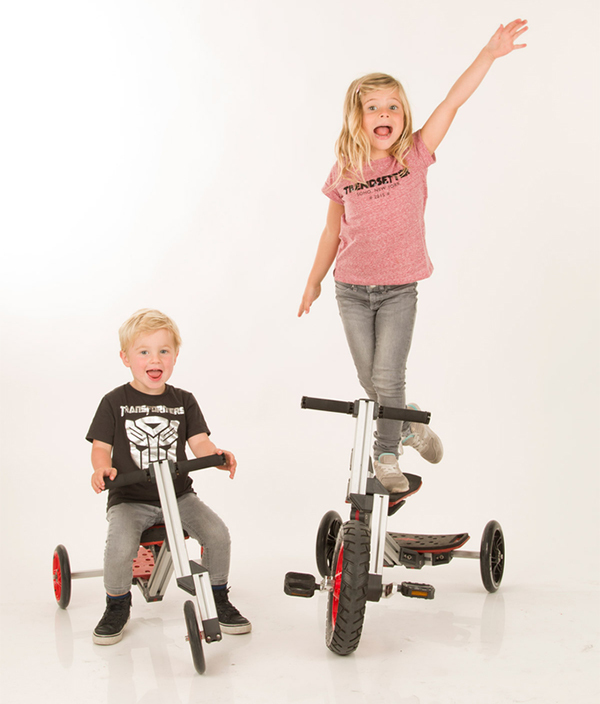 The dream of tinkerers big and small is for the miniature to become life sized, and Dutch company Infento has done it with a world first in constructible rides. Inspired by the limitless creativity of Lego and Meccano, Infento is a construction system that lets kids build just about any vehicle they can think of. A single set gives you all the pieces you need, and a single tool does all the work. That tool? The humble Allen key, which you might know from adventures in Ikea furniture construction. Infento is brilliant. It inspires creativity, gives kids a technical skill set and a project to work on with parents. The parts are modular, so while there are plenty of suggested rides to create, you can go totally off grid and make something completely unique and amazing. For those of us who are keen on following the instructions, or who want to make something that’s been tested, try the Junior Kit for ages zero to five years. You can make the Wallaby walker/wagon for babies to collect and transport things they find around the house – a shoe, a teddy bear, your phone. There’s also a seated version of this wagon, two types of trikes (one with pedals, one to push along, Fred Flintstone style), a scooter and a balance bike. What’s beyond those rides? It’s up to you. The older the age group, the more complex the potential vehicles get. 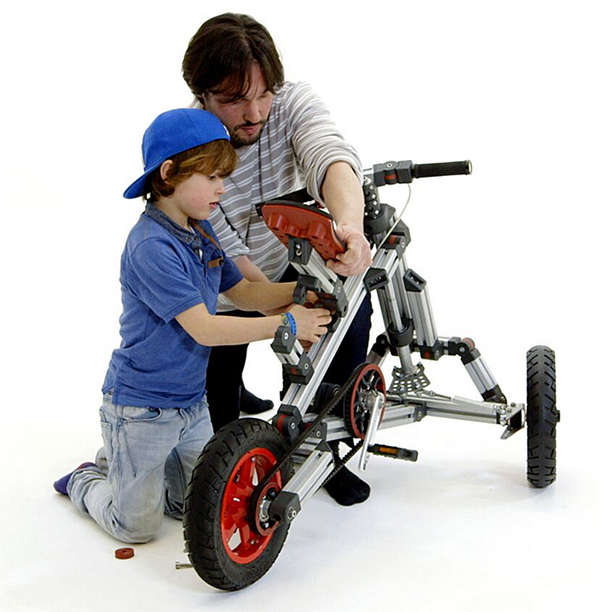 From the Creator Kit for zero to 10 years, you can build some pretty incredible recumbent trikes as well as a regular old push bike. The Master Creator Kit for ages zero to 13 years has 12 amazing vehicles. There are also add-on kits like the snow models that replace wheels with skis. Perhaps not of everyday relevance for our local audience, but great for going to the snow. There’s even a grown-up snow add-on for brave mamas and papas. The clincher for me was the part of the video where they pile up all the vehicles parents might buy for their children: a walker, scooter, balance bike, tricycle, push bike, wagon… so many small vehicles that will be discarded after six months and sit in your garage gathering spider webs. 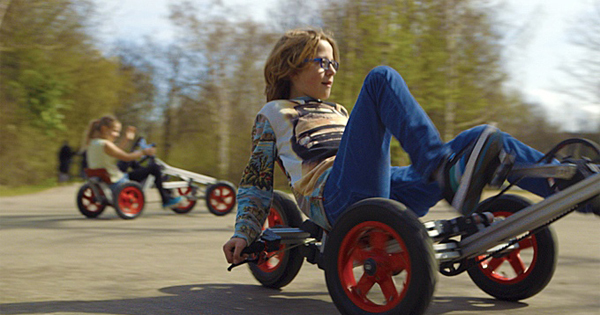 With not long to go, Infento’s Kickstarter campaign is going gangbusters. At two weeks to completion they’ve exceeded their goal, but there’s still lots of space to pledge. For $299, you can get the Junior Kit, or for $449 get the Creator Kit. For $6,000 you can even fly to Amsterdam to meet the team and pick up your Master Creator Kit. Pretty spectacular!